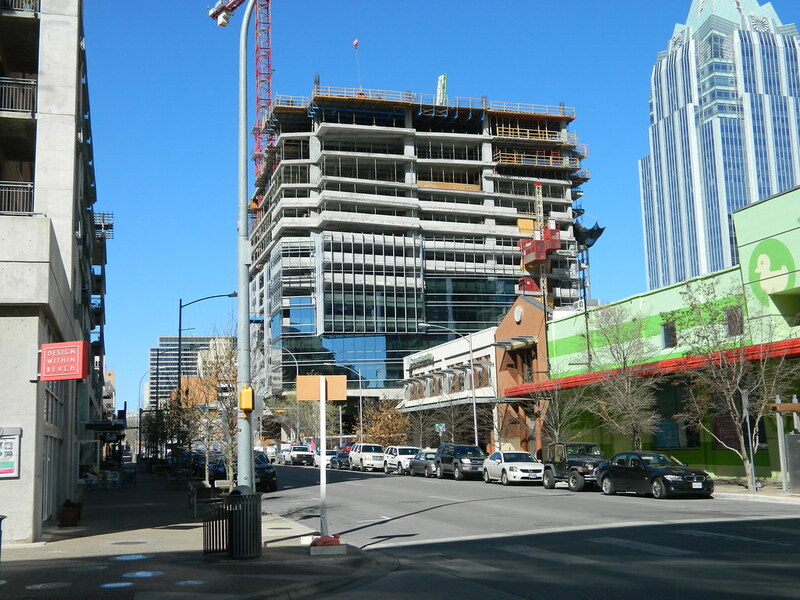 Cousins Properties Inc. says it plans to build a 30-story office tower at Third and Colorado streets, a project that could become the first new high-rise office building in downtown Austin since Cousins opened Frost Bank Tower eight years ago. Was delayed for a short period of time, but now on track. Groundbreaking expected later this year. JAMCo, a Georgia-based construction company, is building a Texas regional headquarters in Bastrop. 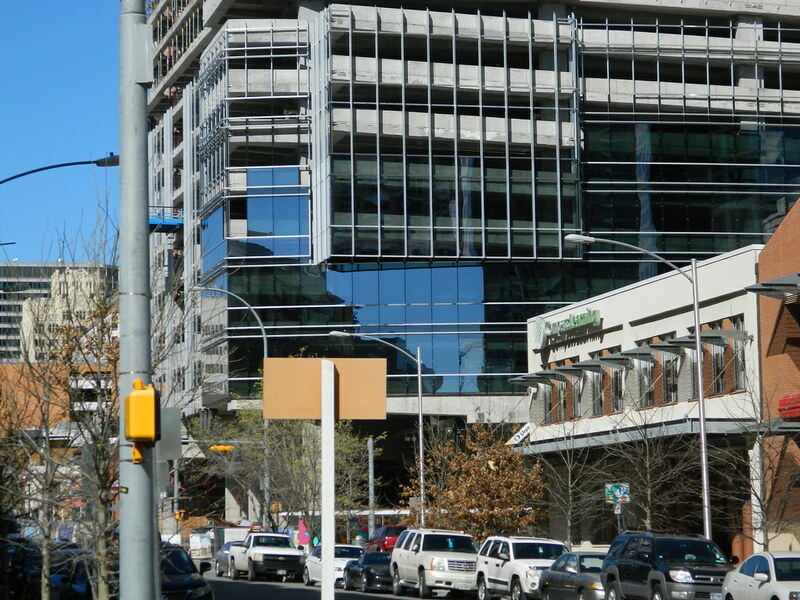 The company furnishes and installs exterior envelopes for high-rise buildings. 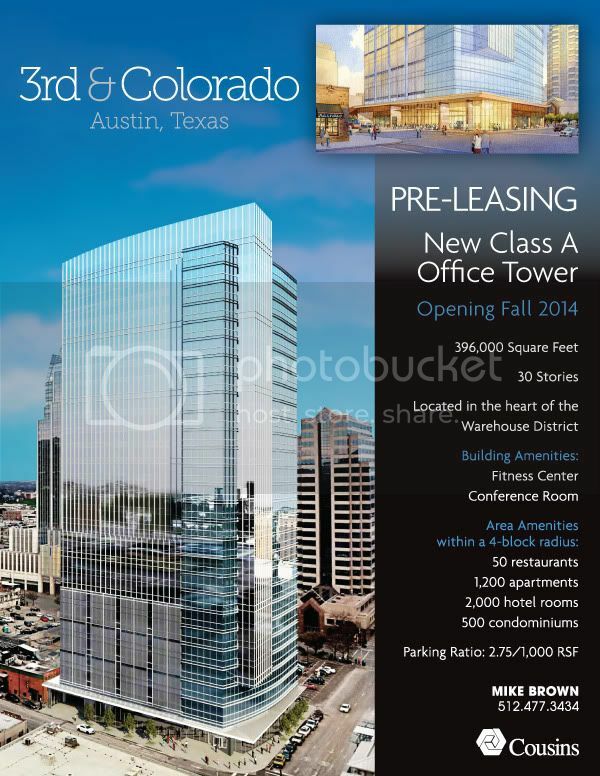 President Phil Greeves said the company will be involved in its first major project in Austin later in the year when it provides products and services to Cousins Properties for a high-rise office tower scheduled to be built at Third and Colorado streets. Cousins officials announced a year ago that the company would break ground late last year on the 30-story office tower. That didn’t happen, but plans might be coming together based upon Greeves’ comments Wednesday in a phone conversation with the Austin Business Journal.